I'm a little bit lost regarding the inclusion of an animation in my presentation. I have tried to use the animation package, but I am not even close to the desired result. The animation I would like to have is very simple: a seesaw that is first completely horizontal. 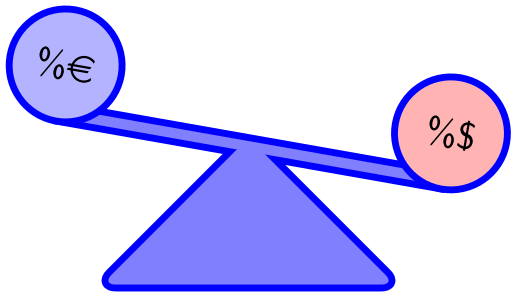 Then moves downward (left side of the seesaw higher than the right side). And then horizontal again. These are three moves, which I want to happen when I click my mouse in the presentation. 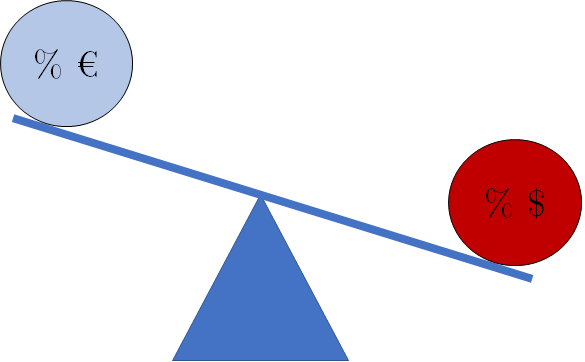 I made an example of the seesaw in powerpoint, to give a bit of an illustration of the animation (for example, the euro should be higher than the dollar when the seesaw moves). I would like to use this in a formal academic presentation, so any tips regarding the layout are also very welcome! % by always drawing it (invisibly) for the extreme values additionally. % and therefore the picture would be 0.5\pgflinewidth smaller. With evince this is playing rather slow, but I suppose that is a matter of the viewer, not the code. 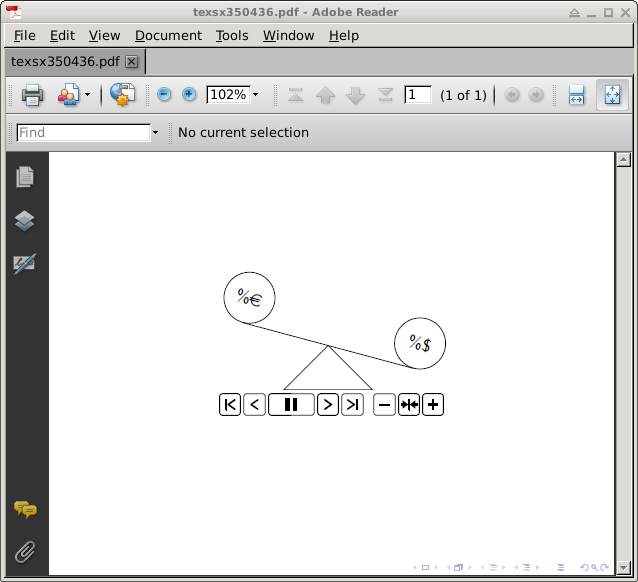 Alternatively one might try to use TikZ to create a gif as shown here and "embed" this with \movie, see beamer documentation section 14.1 Animations.